La cortesia e la disponibilità della proprietaria, la posizione dell'appartamento. Lock in a great price for Domus Ilaria – rated 9.2 by recent guests! Offering free Wi-Fi Domus Ilaria is located a 5-minute walk from Rome’s Furio Camillo Metro. 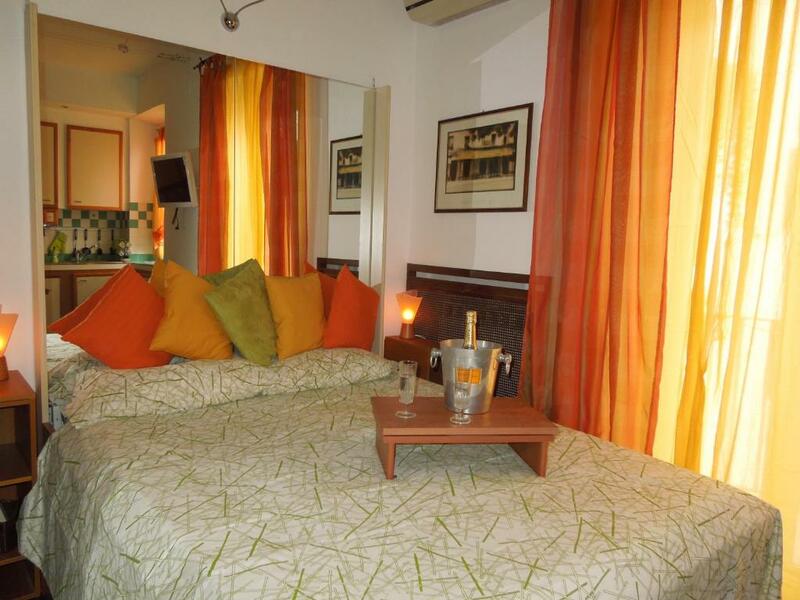 It is a self-catering accommodations with modern furnishings and air conditioning. Featuring a flat-screen TV with a DVD player, all colorful apartments come with a fully equipped kitchenette with a dishwasher, washing machine and electric kettle. The private bathroom includes a hydromassage shower, hairdryer and free toiletries. Shops, bars and restaurants can be found within a 3-minute walk of the property. 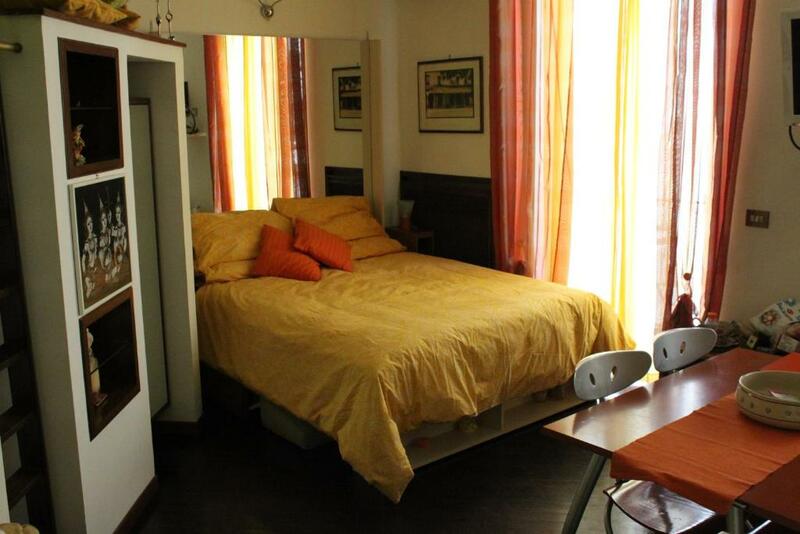 Domus Ilaria is a 15-minute metro ride from the Spanish Steps and 1,300 feet from the Caffarella Park. 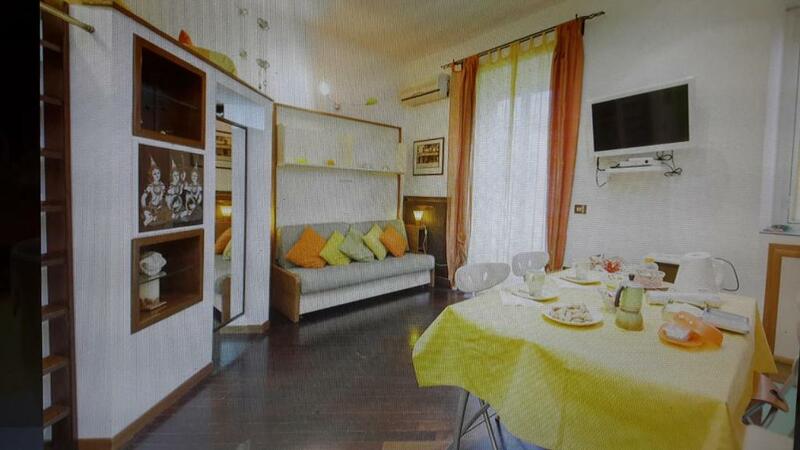 The Roma Termini Train Station is 2.5 mi from the property. Appio Latino is a great choice for travelers interested in ancient landmarks, museums and monuments. 뀐 Located in the top-rated area in Rome, this property has an excellent location score of 8.9! 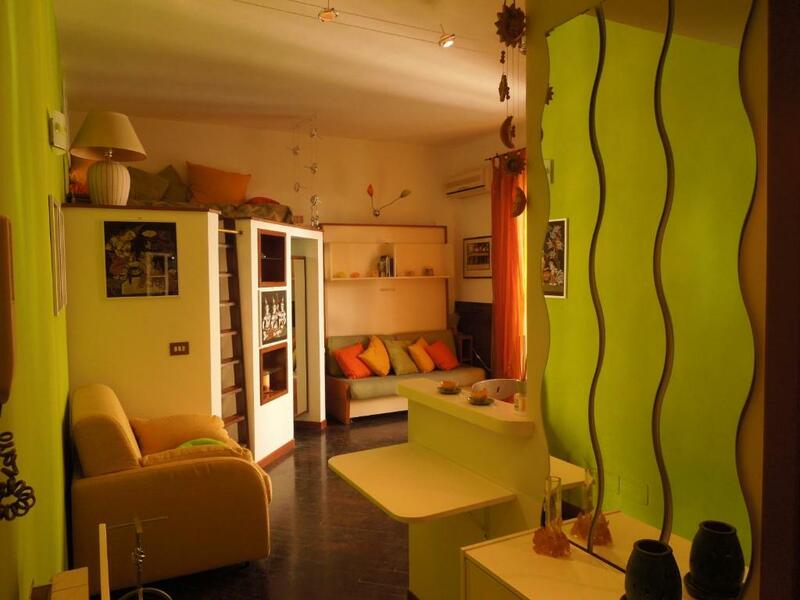 When would you like to stay at Domus Ilaria? Featuring free Wi-Fi, this air-conditioned studio comes with a flat-screen TV with a DVD player, a kitchenette with a washing machine, a dishwasher and a private bathroom with shower and hairdryer. Area Info – This neighborhood is a great choice for travelers interested in ancient landmarks, museums and monuments – Check location Great location - show map Guests loved walking around the neighborhood! House Rules Domus Ilaria takes special requests – add in the next step! Guests need be quiet between 1:00 AM and 5:00 AM. Please note that children aged 17 or younger must have their parents' authorization and inform the property in advance. Please inform Domus Ilaria of your expected arrival time in advance. You can use the Special Requests box when booking, or contact the property directly using the contact details in your confirmation. There was only one minor disadvantage. The ones having option of ‘breakfast included’ should know that it means you are just provided with a lot of food products of different kinds (bread, cakes, jams, eggs, ham, cheese, milk etc.) but you have to prepare it by yourself. It is not the idea of the true ‘breakfast included’ option which should be ready to have and then go out without preparation, cleaning etc. The owner just does shopping for you which in fact we could do ourselves and then buy exactly what we wanted, especially that we were buying other products anyway. 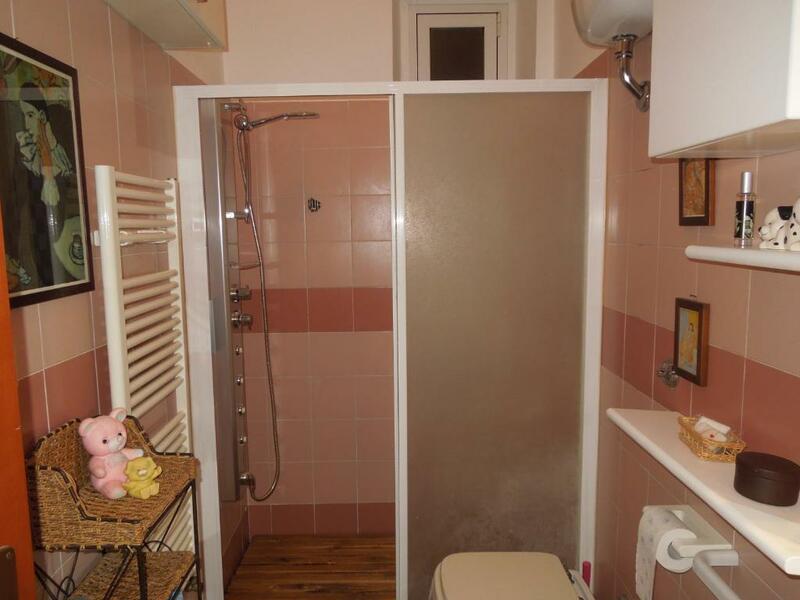 Despite of this problem we highly recommend this apartment. This place is definitely worth booking. 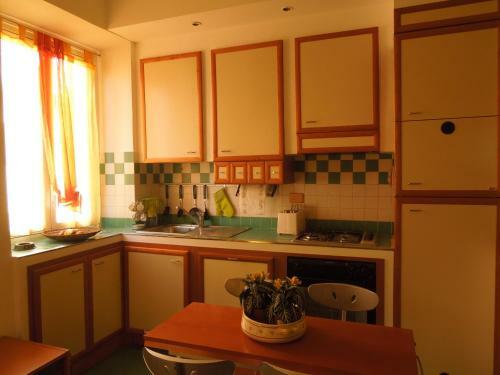 It is located just 3 km away from the old center of Rome and at the same time in a very peaceful neighborhood, easily reachable by a car so you don’t have to enter the crowded, narrow streets of the downtown. It is also possible to find a free parking spot nearby. There are shops, restaurants, bars etc. around. The underground station is three blocks away (7-8 min walk) and the bus stop – just one block. Public means of transportation are very convenient and relatively cheap in Rome so if you come by car, you may safely leave it and use only subway and buses (it will be much safer and calmer than trying to participate in Italian traffic). The apartment is located on the 4th floor but there is a little lift in the building. 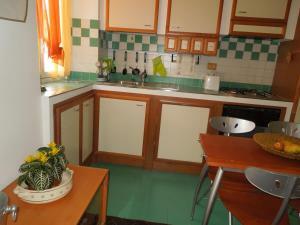 It is small but so well furnished and decorated that you will feel like in a much bigger place. The apartment includes one open room with a double bed and two extra places to sleep (one upstairs, above the closet, and one in the form of a folding armchair), the dining space (big table) with a TV set and a DVD player (! 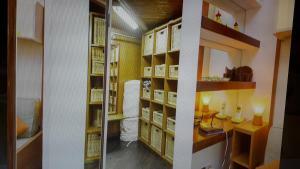 ), a kitchenette and a spacious bathroom. We really have to praise the apartment not only for the great location, smart and cozy interior design but also for all the ‘small’ things which in fact make your stay much more comfortable. The kitchenette is very well equipped with a dishwasher, toaster, microwave oven, gas stove, electric oven and a washing machine. You will find all the necessary kitchen tools, pans, accessories and tableware, and even basic food products and spices (tea, coffee, salt, pepper, sugar, olive oil, pasta). This was the first apartment ever to be so well equipped. There are enough plates and cutlery so you don’t have to wash them instantly (in the majority of places you will find only as many plates etc. as indicted by the number of persons meant to stay there, possibly some extra pieces, which in fact makes the dishwasher totally useless because it never gets full). Wifi didn't work well. And we didn't find a clean quilt for the single bed. The beds were not really comfortable. The host was nice and helpful. The kitchen was perfect! you can find everything you need!